Just when you are thinking that Google is all engrossed in leveraging its self driving cars, just then news hit the media that Alphabet’s CEO Larry Page is financing a project on flying cars. It’s been said that Larry Page has always dreamed of flying cars and this is the time when he wants to realize is long sown dream. The overall cost of the project is reported to be $100 million. In this regard, Page is supporting programs from Zee.Aero and Kitty Hawk to develop electric flying machines. It has been found that none of these company are parts of Google or Alphabet and according to reports Page is independently financing the project. 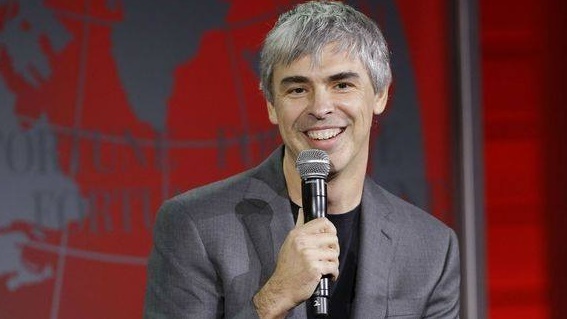 It’s amazing how Larry page has organized two rival companies to work together in order to accomplish his mission. As page thinks, that flying cars is going to be a game changing technology and will be far more superior than self driving cars. “I have young kids, so I would like them to be safe,” Page told Bloomberg Businessweek. “I’d like for pedestrians to be much safer. I’d like for blind people and old people and young people to get around.” Recently Google has been spending a huge time on improving the precision of self driving cars which is nothing less than a drudge. So the new flying cars will be definitely worth the wait.